La tradició vinícola catalana (i espanyola) es remunta a temps mil·lenaris. Però des que va abandonar la vessant de consum local per transformar-se en un negoci global, els viticultors han hagut de pensar en noves formes de treballar i de donar cos als seus vins. En un reportatge al New York Times, el prestigiós diari nord-americà destaca la brillant transformació i capacitat d'adaptació que han demostrat els vins del Montsant, una denominació d'origen catalana que té la major part de la seva zona de producció a la comarca del Priorat, llevat d'algunes terres de la Ribera d'Ebre, a la riba del riu de Montsant. El rotatiu destaca que els vins negres del Priorat aconsegueixen combinar de forma excel·lent la "potència" i la "densitat" amb "el cos i la forma". Tanmateix, el diari posa el focus en la DO Montsant, de la qual diu que ha sabut recollir part de la fama de la DO qualificada del Priorat - mantenint uns preus més econòmics. Remarca que les dues denominacions utilitzen de base el Samsó, el qual complementen amb varietats internacionals com el syrah, el cabernet sauvignon, el merlot i l'ull de llebre. També destaca que ambdues comparteixen un punt de vista català, un repunt de cultura que "mai ha de ser subestimada". Tanmateix, remarca les diferències que fan particulars les dues regions catalanes: principalment les característiques del sòl i el microclima de cada zona. Així, el rotatiu destaca l'enfocament temàtic de gran part dels vins Montsant, que inclou sabors de regalèssia, terra i minerals a base d'herbes, com a component ocasional. The wine universe has been expanding at an accelerated rate over the last decade or so, and no place illustrates it better than Spain. New appellations have joined historic names. Forgotten regions have reinvented themselves. And everywhere, despite the country’s poor economy, new producers have jumped into the global fray. Global is the salient point. No Spanish regions are really new to making wine. It has been part of the culture for centuries, if not millenniums. But unlike the first thousand some-odd years, during which consumption was primarily local, winemaking is now a thoroughly global enterprise, and that has required new ways of thinking and working. One of the foremost examples of Spain’s transformation is Montsant, a small Catalonian region nestled in the forbidding shadows of Priorat’s slate hills. Priorat itself is both old and new, an ancient region that few outside of Catalonia had heard of 30 years ago. Now it is renowned for beautiful red wines that manage to combine power and density with structure, shape and a distinctive sense of place. Naturally, they fetch high prices. Montsant is an even more recent discovery. Only in 2001 was it carved out of the larger Tarragona appellation and given official approval as an independent zone. Even since then, it has largely been valued for its proximity to Priorat, an association that has had its pluses and minuses. On the one hand, because the world greatly values the wines of Priorat, Montsant has earned attention as a source of red wines that resemble Priorat’s but for a lot less money. This, of course, is good for business. On the other hand, the constant likening to Priorat has kept Montsant from developing its own identity. This, perhaps, is bad for the soul. So how do the regions resemble each another? Proximity is one thing, but judging by the many ordinary Bordeaux chateaus that like to note they are just across the way from renowned Latour or Margaux, that doesn’t always amount to much. Montsant and Priorat do use many of the same grapes. 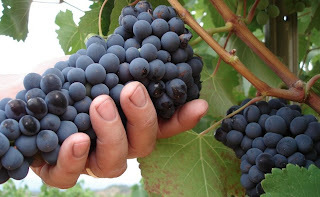 Old-vine stands of garnacha and carignan, known in Catalonian as samsó, and in Castilian as mazuelo or cariñena, remain of what had historically been planted in the region. They have been supplemented by international grapes like syrah, cabernet sauvignon, merlot and even tempranillo. The two regions also share a Catalan outlook, and unlike geography, the role of culture should never be underestimated. Yet, differences separate the regions. Most significant is the soil. The best Priorat vineyards are planted on steep slopes in unusual, porous, slatelike soils, known in Catalan as llicorella, which allow naturally low yields of concentrated grapes. In Montsant, the soil is more varied, though predominantly granite-like sand. The microclimates differ, too. While Montsant producers generally strive for the same styles of wine that are made in the Priorat, to my taste they don’t quite achieve the drama, intensity or distinctive minerality of the Priorat wines. Nonetheless, they are quite delicious in their own right. In the end, it’s not much of a stretch to liken them to Priorat’s, so long as it’s understood that the wines are related but not identical. That leaves the matter of soul. What does Montsant offer without the burden of comparison? The wine panel tasted 20 bottles from recent vintages, primarily 2009s and 2010s, along with one each from ’06, ’07, ’08 and ’11. Florence Fabricant and I were joined by two guests, Hector Perez, wine director of Casa Mono near Gramercy Park, and Jill Roberts, wine director of the Marrow in the West Village. We all appreciated the balance of the best wines, particularly since the leading grapes, garnacha and carignan, can easily veer off into the sweetly fruity realm if not managed carefully. Instead, we found a deep thematic strand binding many of the wines, comprising flavors of licorice, earth and minerals with the occasional herbal component. We were also surprised to find so few overtly oaky wines, often a hallmark of ambitious emerging regions. Let’s be clear: these wines are big, mostly 14 to 14.5 percent alcohol, but that feels natural in their context. 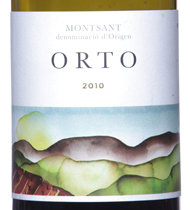 Craftsmanship was certainly evident in our top bottle, the 2010 Orto Vins, a seamlessly integrated wine that was mostly a blend of carignan and garnacha, with smaller amounts of tempranillo (known in Catalan as ull de llebre) and cabernet sauvignon, which has no Catalan alias, at least not yet. It was pure, harmonious, even elegant, and while I doubt it would be mistaken for a Priorat, it’s a wine on which Montsant could certainly hang its own identity. It turns out that Orto’s viticulturalist, Joan Assens, worked for 15 years for Álvaro Palacios in Priorat before going his own way. He grows grapes biodynamically and, in addition to the lower-priced blend that we tried, makes four single-vineyard wines, which most definitely cost Priorat prices at $85 to $125 a bottle. Our No. 2 bottle was the 2007 Coca I Fitó, a structured, tannic wine with strong flavors of anise and menthol. The wine was 30 percent garnacha, 20 percent carignan and 50 percent syrah. In fact, several other of our top 10 wines had strong syrah components, including No. 4, the 2010 Faunus from Ediciones i-Limitadas (30 percent); No. 9, the 2010 Finca L’Argata from Joan d’Anguera (40 percent); and No. 6, the 2011 Bula from Celler Can Blau (20 percent), in which even though the blend was 40 percent carignan and 40 percent garnacha, it was the flavors of the syrah that really stood out. Anything wrong with this? Well, I’m always partial to indigenous grapes. Still, each of these wines seems to me to be a clear expression of Montsant despite the presence of other grapes, so it’s hard to complain. At the same time, our No. 3 wine, the 2009 Clos de Noi, was made entirely of carignan. It was a lively wine with earthy licorice flavors, and, at $19, our best value. All told, it was an impressive set of wines. Given its locale, Montsant can never be physically removed from Priorat’s shadow. But it’s time to think of Montsant as its own wine. The panel tasted red wines from Montsant, a small Catalonian region. Complete, balanced and well-integrated with earth, mineral and licorice flavors and a proper tannic grip. Importer: Peninsula Wines, New Rochelle, N.Y.
El "meu" Priorat, aquí. El meu Montsant, aquí, aquí i més si cliqueu "Ulldemolins", "Montsant" i "fotos" a les etiquetes de la dreta.